Enjoy the Philadelphia tourist attractions and Philadelphia things to do in a southeastern county of Pennsylvania. See plants and flowers as you stroll a garden, visit an historic park or a national memorial. 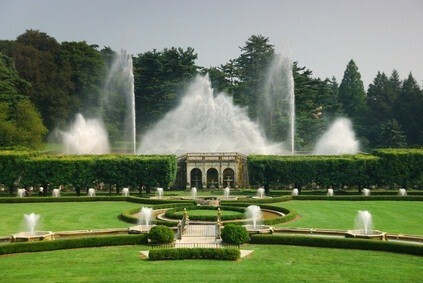 If you haven't been to Longwood Gardens, make sure you schedule a visit there. Christmas time is even more stunning with all the lights they put up. Bring your camera when you visit, as there's lots of things to see that make for memorable photographs. If you can't get away for a week-long vacation, a weekend spent here affords you lots of great things to see and do. Former iron plantation with 848 acres and historic buildings from the Industrial Revolution Era including a cold blast iron furnace. Enjoy walking tours, living history programs and wildlife viewing. If you like history, you'll want to make this one of your stops when you visit. 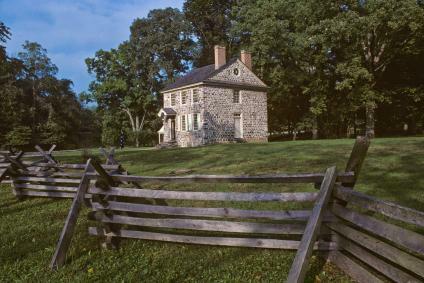 Located at Valley Forge National Historic Park and erected for the arrival of General Washington and the Continental Army. Have fun sightseeing on a fun Pennsylvania getaway!